Designed by Peter Homestead, the MainSail Sling Collection has a flowing look with just enough detailing to complement a wide range of decors. MainSail Sling pieces are made of powder-coated aluminum and built to withstand the elements. The MainSail Sling Collection features a sled base and is ergonomically designed with a lumbar-supported seating position which provides long-lasting comfort and encouraging casual relaxation. 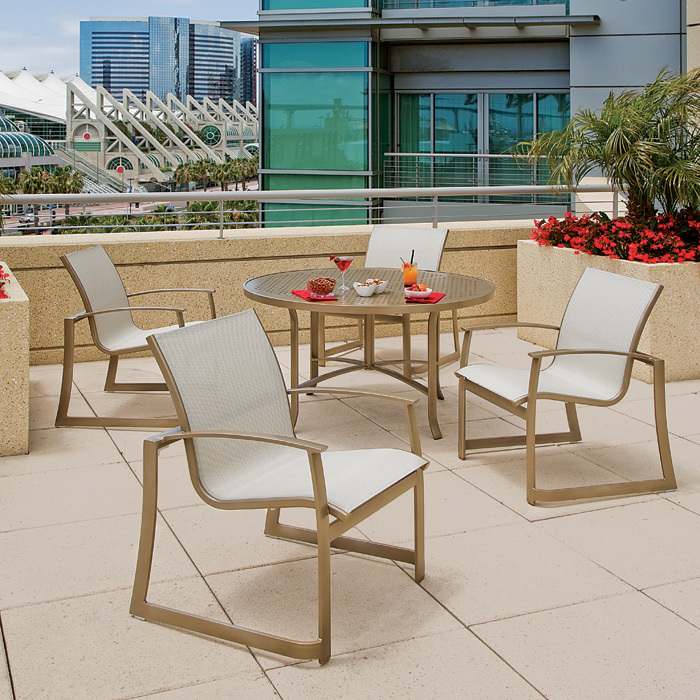 Whether lounging by the pool, relaxing in a cabana, or socializing in the outdoor dining area, MainSail Sling Outdoor Furniture was developed to enhance outdoor living.